If you are an expat in Burma or Myanmar then you can ask the Australian Embassy in Myanmar for assistance if you are involved in an accident or in need of consular assistance. Note that there is a limit to consular assistance as there is a page on this website which describes what they can and cannot do. Always obtain travel insurance before you leave home. See a map to the Embassy below where you can seek assistance for a birth registration public notary or applying for a passport. You can also apply for a visa in Myanmar if you wish to visit Australia on holiday or if you are married to an Australian. The contact details for the Australian Visa Centre has been added below. They will be able to explain to you the process and cost of the visa application in Myanmar. 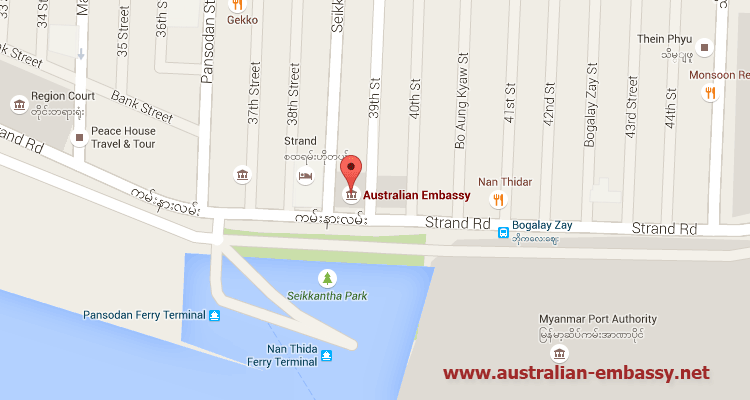 The Australian Embassy is open from 8:00 am to 4:00 pm Monday to Friday except for public holidays. The Passports Counter is open for applications from 8:30 am to 4:00 pm Mon to Fri except for public holidays. The Visa Office is open for emergency enquiries and applications unable to be lodged at the Australian Visa Application Centre from 1:30 pm – 3:30 pm every Wednesday except for public holidays. 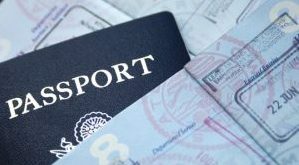 As from 18 May 2015, all visa applications for Australia (except for Refugee and Humanitarian Entry) or applications for citizenship by descent should be lodged at the AVAC.